Nestled at the foothills of Gunung Machincang lies the Geopark Hotel Langkawi–a quaint boutique hotel of 30 superior room and suite accommodation that is unrivalled in its class on this magical resort island. With the Machincang Cambrian Geoforest Park in the hotel's backyard, it is the perfect window to Langkawi Geopark–the region's first member to the UNESCO Global Network of Geoparks. 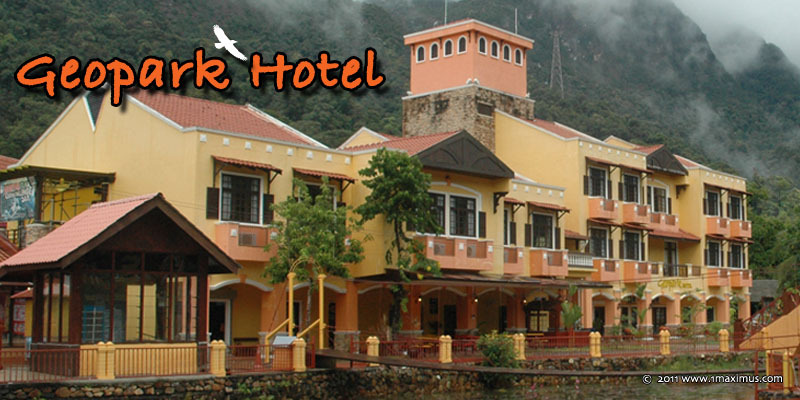 Geopark Hotel Langkawi offers guests 30 tastefully decorated rooms and suites at affordable prices at the Oriental Village Geopark Hotel Langkawi packages the only promotions on the island with elephant and cable car rides from only RM388 net. Located at the Oriental Village Langkawi, guests at the Geopark Hotel will have close access to more than 50 activity providers, retail stores, dining options and other outlets.